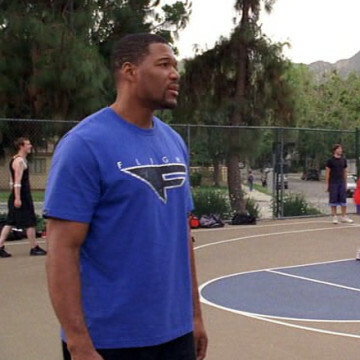 Former Giants defensive end Michael Strahan offers a short cameo in S08E07 of Entourage, titled Second to Last. He shows up at the episode’s seventeen-minute mark and puts Turtle in his place when he calls asking for more Don Peppe’s money. Strahan was elected into the Pro Football Hall of Fame in February of 2014 and made his only Entourage appearance roughly a year before he was selected as Regis’ replacement on Live! with Kelly.